Telephone: +997 1 422 5709. After a trek up the Himalayas – or a night on the local beers – take a well-earned rest on the limpid waters of Phewa Tal in Pokhara. Whether you paddle yourself or hire someone to do it for you, make sure you visit Barahi Mandir, an island and temple in the middle of the lake. Nepal's oldest national park, Chitwan is home to endangered Bengal tigers, one-horned rhinos and mugger crocodiles, not to mention numerous bird species. Visitors can explore the park on elephants or in a safari vehicle. It's also possible to spend the night in watchtowers, listening to the roar of the jungle. At 437m (1,434ft) deep, Siddha Gufa is the largest cave in Nepal and lays claims to some spectacular stalactites and stalagmites, not to mention a myriad of otherworldly rock formations. Located just outside the village of Bandipur, the cave can be accessed by bus from Pokhara. The tallest mountain in the world, climbing Everest is the ultimate test of physical endurance. But if you can't make it to the summit, or even base camp, you can view this peak in all its glory from the window of a plane. Most domestic airlines offer scenic flights, which are available from Pokhara and other locations. Pokhara has been touted as one of the best places in the world to go paragliding, thanks to its unique geothermal patterns and stunning landscapes. Several companies offer flight instruction, equipment rental and transport to and from the landing sites. 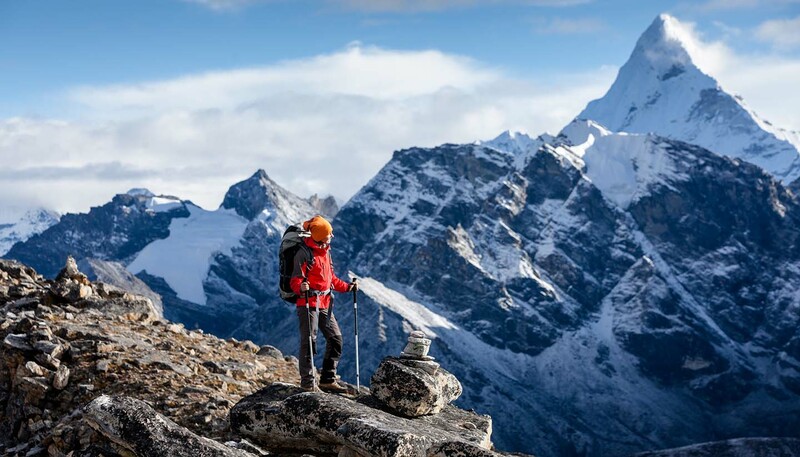 Is there a better way to explore the world's highest country? Once you've finished sightseeing in Kathmandu, have a well-earned beer in the lively Thamel district of the city. Packed with bars, clubs and restaurants, you won't struggle to find a glass of the local brew in these parts. As well as pints of Khukuri, you will also find local cuisine, fellow travellers and loud music. Described as the "jewel of Himalaya," Pokhara is a lakeside city of extraordinary beauty. Set to the backdrop of the snow-capped Annapurna mountain range, travellers fall for the city's many charms while visiting temples, shopping in traditional bazaars and boating on Phewa Lake. The birthplace of Gautama Buddha, Lumbini is arguably the most important pilgrimage site in the world for practicing Buddhists. This spiritual site is not just a draw for religious devotees, though: the shimmering, golden temples and pristine grounds attract many tourists too. Crashing through mountains are a series of rivers, which offer perfect conditions for white water rafting. From the swirling challenges of the Marsyangdi River, to the scenic Trisuli River, thrash it out on the country's exhilarating waterways, which are certain to get your heart racing and adrenaline pumping. Clinging to the side of the Himalayas, the hillside town of Namche Bazaar is a hub for those exploring the Everest region. Bakeries and pool houses treat those who have walked from Lukla, and Wi-Fi accessible spots can comfort those missing home. Though badly shaken by the earthquakes, it’s open for business. Peruse Tibetan handicrafts and artefacts at the hugely impressive Boudhanath stupa, a centre of Tibetan exile culture, just a short ride from central Kathmandu. Alternatively, visit the lively bazaar in the bucolic hill town of Gorkha – the ancestral home of the Shah Dynasty and residence of the original Gurkha soldiers. Many of Kathmandu's religious monuments were destroyed during the 2015 earthquakes, including the landmark temple of Kasthamandap in Durbar Square. It's not all bad news. Incredibly the UNESCO-listed Hindu temple of Pashupatinath escaped relatively unscathed, as did Swayambhunath Stupa (also known as Monkey Temple), which offers sweeping panoramas and playful primates. Nepal's calendar is packed with all manner of festivals. Highlights include Holi, a spring festival where paint is thrown over all and sundry; Tibetan New Year; the light festival of Tihar; and Dashain, the longest and liveliest festival on the calendar. Check our calendar to see when exact dates fall. Feel the stresses and strains of daily life ebb away from you at one of the many yoga retreats in Nepal. 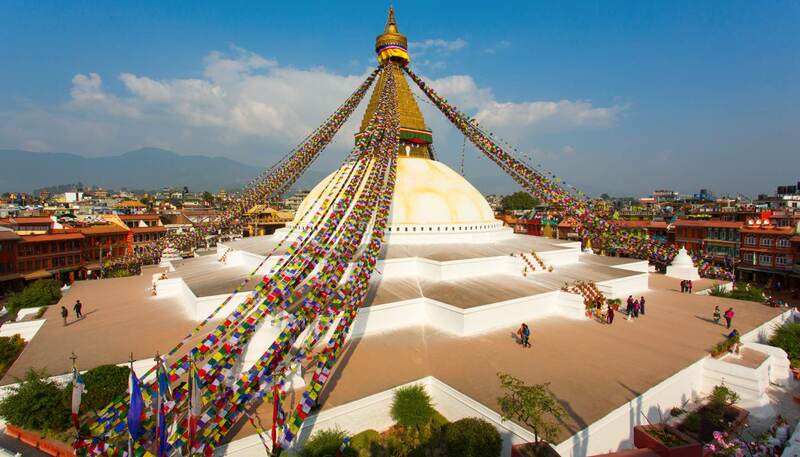 Kathmandu, Lumbini and Pokhara are teeming with centres offering yoga, meditation and various other traditional treatments, which are revered in Nepal for their healing qualities. The trail to Everest Base Camp is a well-trodden one, so if you don't want to jostle for space with fellow hikers try the Annapurna Circuit. It's slightly quieter and offers epic mountain vistas. While accessible without a guide, inexperienced hikers are advised to seek assistance locally. The city of Patan has long-standing artistic traditions and is renowned for its beautifully crafted, artisanal goods. It is also a place of unremitting beauty where UNESCO listed landmarks meet opulent palaces and art galleries. Its most impressive landmarks include Patan Durbar Square, Krishna Mandir, the Royal Bath, Kumbheshwor Temple and the Golden Temple.